Sad news for fans of popular post-apocalyptic FPS franchise Metro. The next entry in the series, Metro Exodus, won’t arrive this year. Publisher Deep Silver and developer 4A Games said in a joint statement that we’ll have to wait until Q1 2019 before we get our hands on the game. Metro Exodus’ reveal at last year’s E3 was one of the highlights of the conference. It was originally scheduled for a fall 2018 release, but it seems 4A Games wants a few more months to add some extra polish, make the best game possible, and avoid going up against big hitters like Red Dead Redemption 2 and the new CoD and Battlefield. "The development of Metro Exodus is progressing well; we are all really excited by what we are seeing. We have been constantly reviewing the games progress to ensure that we deliver a product that gamers and fans of the Metro series want and deserve, as well as keeping an eye on announcements from our competitor products. We want everyone to be able to experience what is the most ambitious Metro game to date at its absolute best and therefore we have taken the decision to move the release date to Q1 2019,” wrote the companies. Games often get delayed to improve the final product, one of the most famous examples being The Witcher 3: The Wild Hunt, which was lauded as one of the best video games of all time following its eventual release. But those looking forward to once again taking control of protagonist Artyom will no doubt be disappointed by the announcement, something its creators and publisher acknowledge. There was a bit of good news, however. Next month’s E3 conference will see a brand-new Metro Exodus gameplay trailer unveiled. Other big upcoming releases from publisher THQ Nordic, which acquired Deep Silver earlier this year when it bought Koch Media for $121 million, are having their release dates evaluated. That means both Biomutant and Darksiders 3 could also be delayed. In other post-apocalyptic gaming news, Stalker 2 was announced yesterday. But that isn't arriving until 2021. They may as well wait, seeing as Stalker 2 (the other Russian FPS) is so delayed. While we as gamers are sad to have to wait a little longer, we will be patient if it means we get a better game. It's good that the EA mentality of "push it out now, we want money" doesn't rule all game publishers. 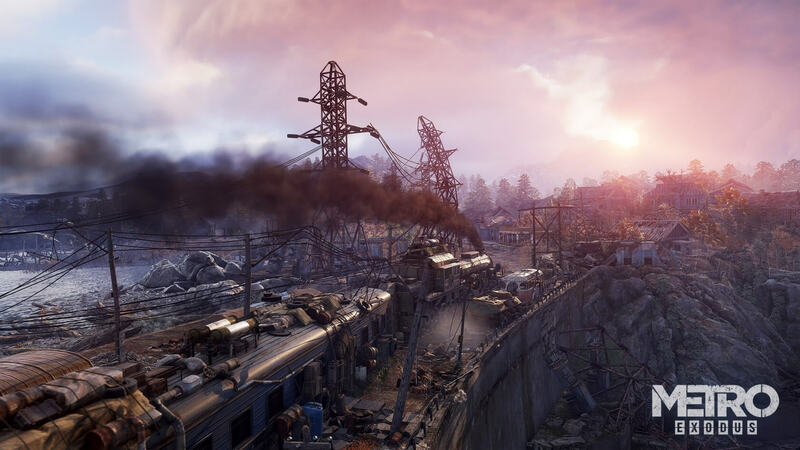 Metro and Stalker games are developed by Ukrainian studios.